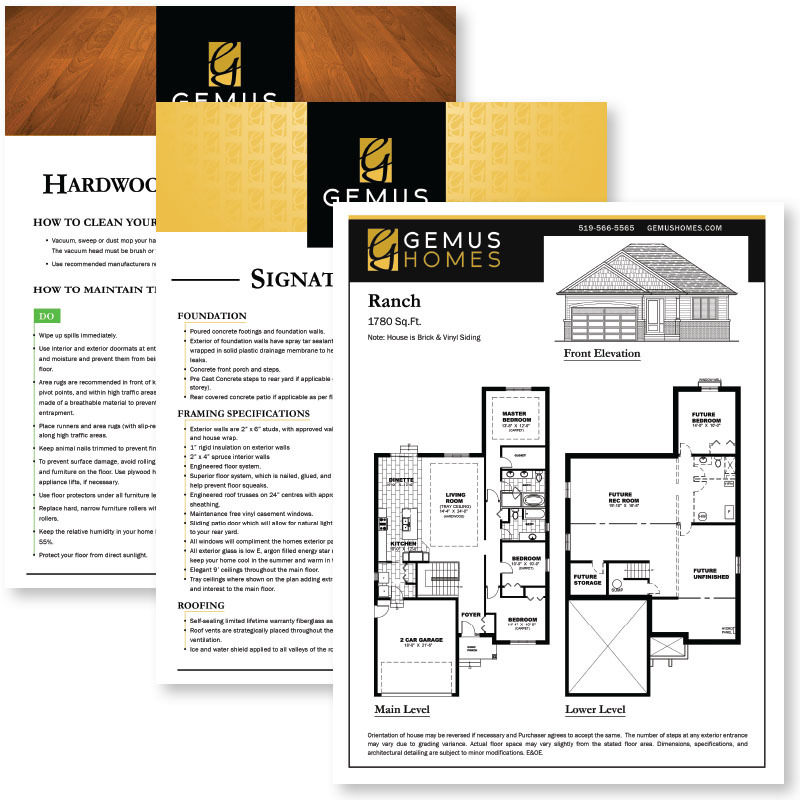 We helped a new home builder, Gemus Homes, design a brand identity including an elegant logo and clean marketing collateral. We love flexible logos with a variety of options that create a cohesive brand. Graphic designers are often limited with one logo that does not quite work well in all instances. That will never be a problem for Gemus Homes, with three logo layouts each with light and dark variations. We hit the nail on the head with this one - perfect logo status achieved! We are keeping it clean for Gemus Homes. No clutter - just pure minimalistic design focused on content. The initial marketing collateral consists of model home floorplans and home buyer information packages.